JTC Corporation is the lead government agency responsible for the development of industrial infrastructure to support and catalyse the growth of industries and enterprises in Singapore. Since its inception in 1968, JTC has pioneered an array of cutting-edge industrial infrastructure solutions to meet the evolving needs of companies. JTC supports a comprehensive range of industry clusters, from the aerospace to marine, clean technology, biomedical, chemicals, electronics, infocomm, media and logistics industries. 25-year-old JTC Undergraduate Scholar Chan Yihui tells us how she plays a key role in supporting the transformation of Singapore’s industries and economic advancement. 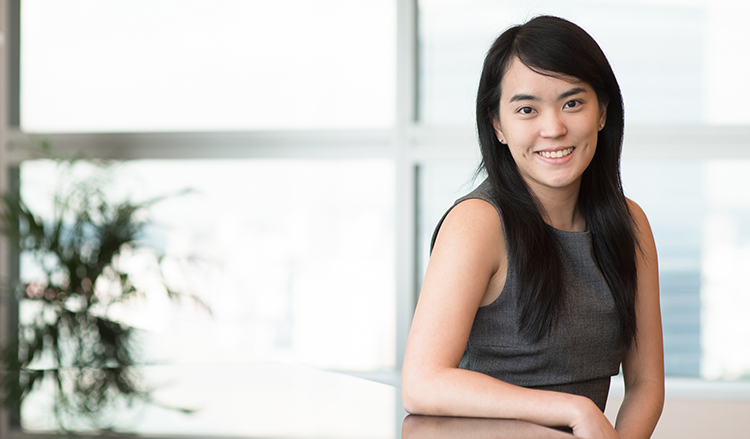 Previously a Civil and Structural Engineer and now an Assistant Project Manager with JTC’s New Estate Division, Yihui explores engineering infrastructure innovations to improve environmental sustainability. She looks at various design or construction technologies to find ways to improve buildability. She elaborates, “I work with our planners to prepare design schemes for civil infrastructure works for land development. Besides that, I also work with our cluster officers and architects to conceptualise building designs and prepare specifications for new buildings. Yihui derives a sense of fulfilment from tackling the challenges that her job brings her. Brimming with excitement, she tells us, “One project I’m proud to be involved in is the study of the feasibility of a second road link to Jurong Island. This is a major road-planning project involving traffic studies, structural engineering and the need to take into account business considerations for companies in Jurong Island and its surroundings. Many of the projects that Yihui has been involved in have few precedents and are almost entirely new, especially in Singapore. “As they are mostly still in their preliminary stages, I’m really looking forward to working on challenges that will inevitably arise, overcoming them and eventually seeing these ideas become reality. JTC is an organisation with diverse job opportunities, and I am also anticipating the opportunity to work in other areas in business, industry development or policy-making,” she declares. For future JTC scholars, Yihui enthusiastically says, “You will have so much to look forward to! Work in JTC is fast-paced and constantly evolving, with ample opportunities to be involved in a wide range of innovative infrastructure projects in Singapore. If you like variety and enjoy the challenges of being a game-changer, you’ll enjoy the work here at JTC!” she concludes.